A quick mention of some books which have just been published – these both hope to shed light on practices of psychological governance in different ways. 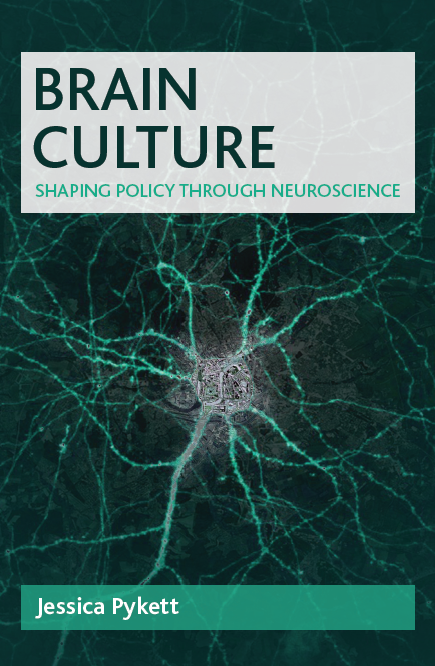 Brain Culture.Shaping policy through neuroscience – just out in paperback. So not really new, but newly affordable. This book offers a timely analysis of the impact of rapidly advancing knowledge about the brain, mind and behaviour on contemporary public policy and practice. Examining developments in behaviour change policies, neuroscience, architecture and urban design, education, and workplace training programmes the book analyses the global spread of research agendas, policy experiments and everyday practice informed by ‘brain culture’. It offers an alternative, geographically informed set of explanations for what matters in explaining how people behave and how citizens’ behaviour should be governed. It will be of interest to students and academics across the social and behavioural sciences. Thank you to Marisa Harlington for amazing cover art. Available here for crazy price, here on Amazon for slightly less, or here on Hive for slightly more, but with the added benefit of supporting independent bookshops. Thank you to all the contributors for making this book happen, and also to Val Britton for her beautiful artwork. We’ve been neglecting this blog slightly in favour of new projects but I just thought I’d paste in some info on an upcoming event we are organising along with geography colleagues from Bristol and Durham Universities. 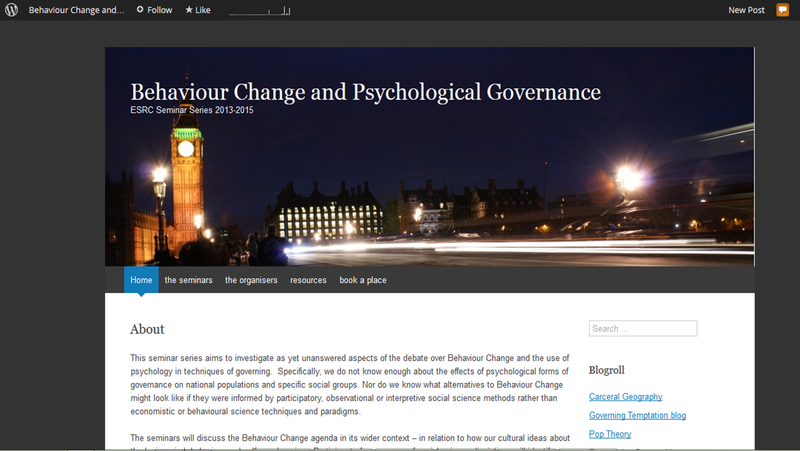 Please go to: http://psychologicalgovernance.wordpress.com/ if you’d like to book a place, and to have a look at the other events that we’ve been holding on this exciting theme of psychological governance and behaviour change….. This seminar highlights the range of psychological approaches which have influenced contemporary public policy making in different national contexts, exploring how and why it is that particular psychological insights are used and taken up by specific governments. Participants will discuss initiatives, policies and projects which make use of: positive psychology, flourishing, nudge, the science of happiness, wellbeing, mindfulness, neural plasticity, socio-psychological resilience. The seminar critically interrogates the political claims made in the name of broadly positive psychology; claims revolving around a discourse of hope and potential. Participants will consider what kinds of psychological and behavioural realities are omitted from these accounts. Why does the brain need a party? Neuropower and the spectacle, assessed via (para)governmental campaigns related to the brain and mental health in Flanders. Critics of the neuro-turn are inclined to ask: “What do we know more now, what is the surplus of neuroscience?” Instead of hastily answering this in the negative, perhaps we should look for an added value elsewhere. In this paper I will look for this surplus-value by engaging with the relation of neuropower to the spectacle, and I’ll do that via assessing some (para)governmental campaigns related to the brain and mental health in Flanders. The cerebellum, so it seems, must be celebrated, it deserves a party and festivities. In neuro-education – conceived here as the instruction of youth into the neuroscientific findings (“the amazing and fascinating world of our brain”) – this celebrative aspect is particular poignant. A brain festival for 14 to 18 your old pupils is, for example, announced as “An entertaining mix of scientific presentations, live brain dissection and workshops!” This, then, will be juxtaposed with another observation: that is, neuroscience can be said to be well aware itself that it does not really bring in an extra knowledge: neuroscience knows it does not know more. For is the neurodiscourse not itself relentlessly deconstructive vis-à-vis all kinds of presuppositions and claims used to be made in the psy-sciences? At the least it shows that there is no subject (endowed with a free will or agency) of knowledge. Is it not this lack, this hole in contemporary subjectivity which has to be acted out, which has to be partied away? The brain has to become a vociferous spectacle in order that we can gloss over it sheer muteness, the fact that is hasn’t anything to tell us. Arguably, we have to dance on our ontological abyss. It will moreover be argued that, to understand the govermentality in play in such brain campaigns, we have to discern that the music, the dances, the balloons and the funny hats in the spectacle of the brain are supplied by psychology, the latter seemingly miraculously surviving the neuro-turn as its MC. This paper takes as its focus the recent UK policy document, the Character and Resilience Manifesto, (launched in February 2014). It identifies and situates its key tropes in relation to other recent British government educational and social policies. While ‘resilience’ is not a new concept, its resurgence in recent years arises from a psychologization of socio-political and economic insecurities such that structural vulnerabilities and risks can be passed back to a fortified, responsibilised neoliberal subject. But this is not all. This performative text also produces what it describes in four ways. Firstly, not only does resilience emit a neutral to positive rhetorical charge, between the gendering of ‘positive psychology’, ‘thriving’, or the ‘happiness’ vs. ‘hardiness’. ‘mental toughness’ and ‘psychofortology’, but it also, secondly, provides a (further gendered) means of acknowledging and addressing emotional dynamics and relationships without explicitly topicalising these and so maintaining its scientific status. Thirdly, it both appeals to and blurs the boundaries between the technical and the scientific by ventriloquising its evidential claims, so also guaranteeing ‘deniability’. Finally, as a combined trope ‘character and resilience’ fruitfully navigates current contestations between nature and nurture, and between neuroscience and psychopedagogy. In response to profoundly pessimistic discourses of structural and psychological crisis, British social policy settings have become key sites for state-sponsored psycho-therapeutic interventions. Education is a key focus for these. In parallel, the government’s Behavioural Insight Team extends behaviour change techniques into new areas. Taken together, these applications of the ‘psy-sciences’ embrace ad hoc elements of positive psychology (as a particular form of behavioural/cognitive psychology), neuroscience, counselling, self-help and psychoanalysis. Resonating powerfully with ‘therapeutic culture’, widespread support for these elements of the psy-sciences is underpinned by equally diverse concerns and intentions, some remerging from earlier periods, some of which are new. Combining insights from both areas of policy illuminates shifts and continuities in older discourses of political subjectivity. 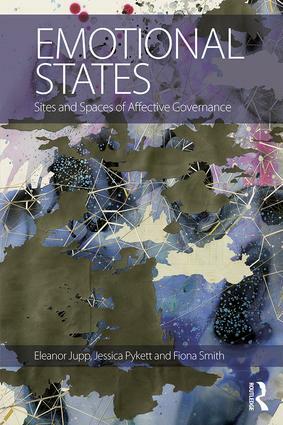 The paper argues that a highly inclusive neo-liberal state embraces seemingly competing strategies and concerns to legitimize new therapeutic forms of governance and governmentality. A powerful unifying strand is disdain for, and rejection of, the neo-liberal rational subject. This raises new political and ethical questions about the legitimate boundaries of behaviour change strategies and their psycho-emotionally-vulnerable human targets. There is a growing focus on ‘building resilience and psychological wellbeing’ in organisations, in schools and communities. The recent economic downturn and longer-term shifts have meant this is timely. It is fuelled by three forces: psychological ill-health as a growing issue with associated social and economic impact; psychological research broadening to include a greater focus on functioning and prevention in addition to the causes and cure of dysfunction; and thirdly, a growing attention on non-financial measures of society’s progress. Vanessa King has developed and implemented resilience building programmes and psychological wellbeing interventions within large and smaller organisations and in community settings in the UK and overseas. She’ll provide an overview of this work, how it is perceived and received and the practicalities of translating academic research into day-to-day action. Vanessa is an experienced a leadership and organisation development consultant. She completed a Masters degree in Applied Positive Psychology under Martin Seligman at the University of Pennsylvania, one of only 250 people worldwide to have done so. She is trained as a facilitator on the University of Pennsylvania’s Master Resilience Training programme for the US Army. She is a Board Member of the not-for-profit, Action for Happiness, founded by the economist Professor, Lord Richard Layard. Leading their work with organisations and speaking on their behalf nationally and internationally. Vanessa developed their ‘10 Keys to Happier Living’, wrote the psychological content of their extensive website. Vanessa has worked with the new economics foundation, is a member of the UK Government Taskforce on Engagement’s Well-being sub-committee and is an affiliate of the Wellbeing Institute at the University of Cambridge. Current efforts to govern via psychology, such as behaviour change and wellbeing optimisation, have been heralded as a major innovation in public policy. This paper suggests that they are merely recent adaptations of a project initiated by Bentham, which aims to strip discourse and deliberation out of politics. The paper explores two precedents for this, by way of a ‘history of the present’. The first is Jevons’ application of Benthamite psychology to the study of prices in the 1870s. The second is the reconception of depression within American psychiatry during the 1970s. Both are efforts to bring mental states within a governing framework, which avoid the need to speak to people, though both ultimately fail in that effort. The paper looks at the politics and limits of this desire for ‘silent citizenship’, which has recently been refreshed once more by the neurosciences. Ideas about behaviour change have the potential to transform public administration as it is practised today. Although theories of behaviour change can help evaluate public policies and to improve their effectiveness, it entails bureaucrats doing things differently, often having to readdress established procedures. To test for behaviour change, it is essential to use experiments, in the form of RCTs, and these often involve the redesign of existing administrative systems, which raises questions about why old procedures were introduced in the first place. Using robust evidence means that old ways of business can be challenged. More experiments can set off chain reactions within bureaucracies, encouraging innovation to become more a common practice, whereby bureaucrats start to learn through testing and adapting what they do. In a broader conception, behaviour change may be applied to other actors in the political process, such as to the bureaucrats themselves, and can be applied by citizens to bureaucrats and politicians. In this way, ideas about information and behaviour change can be used to create positive feedback loops between different actors in the political process, encouraging more responsiveness to bureaucrats to citizens, and citizens to bureaucrats. Of course, implementing such changes involves challenges as well as successes, and the paper gives examples of both from the UK at local and national levels. This latest entry into our Wiki-Glossary is the product of the problematic encounters we regularly have with the notion of the rational. In behaviour change circles the notion of the rational is a consistent topic of debate and a key policy goal. Our sense, however, is that as a term it is at best shrouded in misunderstanding, and at worst co-opted to serve particular moral ends. Here is our humble attempt to redefine what we might mean by the rational. If you disagree with this vision let us know, the point of this Wiki-Glossary is to build shared understandings of key terms like this. The UK Goverment’s HM Revenue and Customs are currently running a new marketing camapaign. The campaign has been designed to promote the timely completion of self-assessment tax returns and payments. What is interesting about the campaign is that in addition to emphazing the rational threat of the £100 fine that faces those who are late filing their tax, it also reflects upon the “inner peace” that is to be gained from the completion of the tax return process. According to HMRC, ‘The campaign has been developed to touch on the emotions that HMRC found people typically experience after they have filled in their tax return, often described as a real sense of relief or peace of mind – like a weight being lifted from their shoulders’. 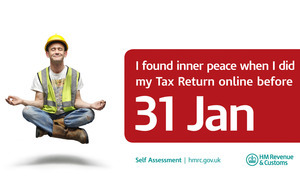 This “inner peace campaign” is one of series of attempts that is being made by HMRC to use the insights of the new behavioural sciences to secure the collection of tax revenue. The UK Government’s Behavioural Insights Team has previously worked with HMRC to trial the use of tax repayment letters that emphasize the social norm of tax arrears payment (see: https://www.gov.uk/government/uploads/system/uploads/attachment_data/file/60537/Behaviour-Change-Insight-Team-Annual-Update_acc.pdf). What is, of course, novel about this campaign is its use of a more meditative message of the deeper forms of happinness that follow the self assessment tax process. The campign is smart to the extent that it seeks to address the tendency of people to procrastinate when facing a complex and potentially expensive tax return process, by offering the hope of a happier future when all the paperwork has been completed. It is to be hoped that the broader insights that meditative practice can offer with regard to the nature and regulation of human behaviour are also realized and utilized within government sponsored behavioural initiatives. We are delighted that our ongoing research on behaviour change has been funded by the ESRC, with 2 new projects beginning this Autumn. The first is a Transforming Social Science award held by Mark Whitehead at Aberystwyth University. The project, ‘Negotiating Neuroliberalism’ is an examination of the internationalisation of the ‘behaviour change agenda’ in public policy which potentially re-shapes neoliberal social policies according to insights in the neurosciences and advanced in psychological techniques of governing. The second is an ESRC Seminar Series on Behaviour Change and Psychological Governance, which is 6 seminars and a postgraduate summer school in which participants will discuss how our cultural ideas about the brain, mind, behaviour and self are changing.